Team Fortitude are a group of aspiring challengers who are taking on challenges all across the country in an effort to raise money for the charity Rock2Recovery. Here is their story of how they were founded, as well as details on how you can join, contact and become part of Team Fortitude! In October 2015 we, Laura Millington & Sabrina Waterhouse came across Rock2Recovery via their Twitter page, and after having a look into their website we felt that it was a very valuable service providing support, encouragement and a lifeline to veterans, service men and women and their families. We are both HUGE music & creative art lovers (previously owning a paint your own pottery and craft studio), and the fact Rock2Recovery encourages recovery and support to people via these mediums, just seemed like a great fit! Although any injury caused is an absolute tragedy, I find it hard to fathom how our Nations bravest and strongest members of our Armed Forces must feel coming home and dealing with an invisible injury. A physical injury is obvious to those around you, but with TBI and PTSD, are not on the surface and visible, and can therefore go unnoticed by those even closest to you. Admitting you have a mental health problem, or brain injury is not an easy thing for most people to talk about at the best of times, but Servicemen and women are trained in a culture where there is a ‘can do’ attitude, so you are meant to get on with things yourself. There is a strong military connection in my family too, and I am extremely grateful that the members of my family that have served our country, were fortunate to come home uninjured, however, this sadly isn’t the case for many. 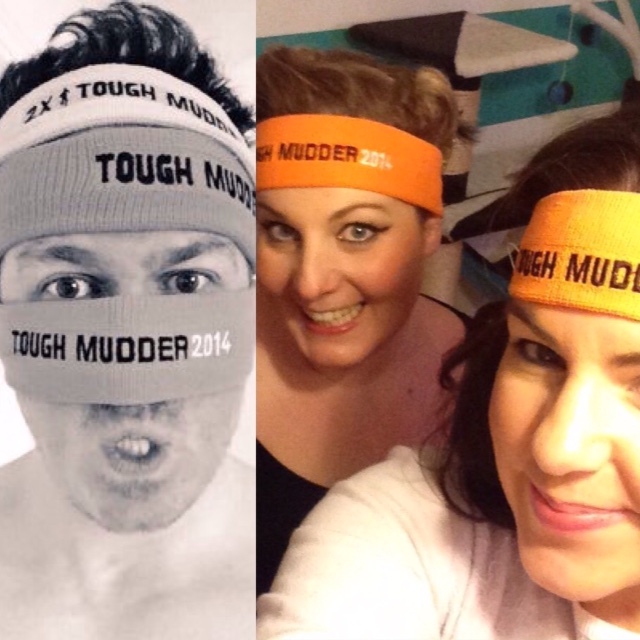 An email was sent to Rock2Recovery back in December offering fundraising support through myself and Sabrina, with a view to bring 100 people to a specific Tough Mudder event in the UK, and was left between us all as something that would be discussed in the New Year. On New Years Eve, random twitter conversations meant that this fundraising project was about to get a whole lot bigger! Our first recruit, Graeme Walker, mentioned he may take part in a Tough Mudder, so we asked if he fancied joining us. Within 10 minutes, our Team of 2 had turned into 10. Over the next few days, more people were interested in joining the Team, and Jamie from Rock2Recovery had given us our official ‘Team Fortitude’ name. It soon became apparent that one event was not going to be possible due to the wide spread of locations of our the team members. By mid January, we had set up a fundraising target of £ 50,000, and Robin from Rock2Recovery decided that due to the high sponsorship target it would be best to have our own logo and website! 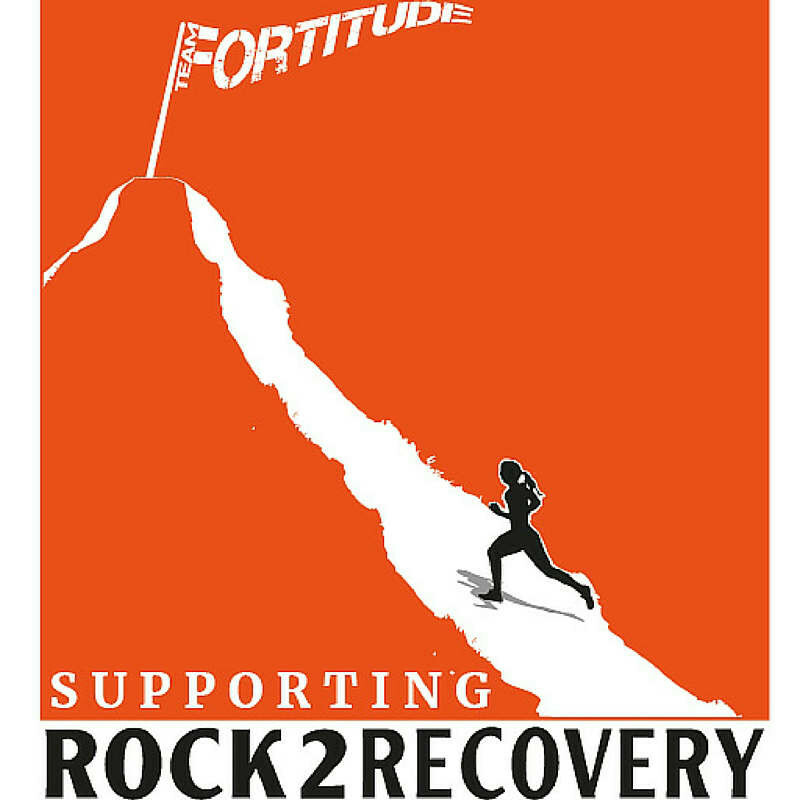 The Team Fortitude logo is based on the Rock2Recovery logo, which we are truly honoured and proud to represent. The colour orange combines the physical energy of red, with the cheerfulness of yellow. Orange is also optimistic, uplifting and inspires physical confidence, along with encouraging self respect and respect of others. So this in turn, makes it absolutely perfect for everything Team Fortitude represents through the physical challenges our team members are taking part in, and the respect we have for each other as a Team and the huge respect we have for Rock2Recovery and their valuable work. By February 13th, the website was officially launched. All of the individual participants, teams and confirmed events have their own sponsorship links, and people can sign up to an event via the home page. Currently we have 18 events with Team Fortitude members taking part, and 74 confirmed team members, with another 23 deciding on a date and event that suits them! 17 of our Team members are also doing at least 2 events. 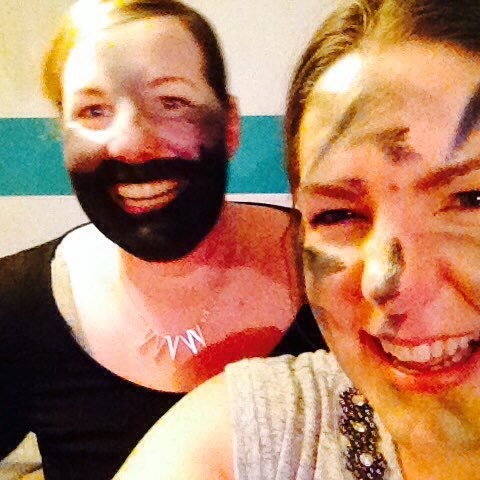 Sabrina & Laura showing their muddy sides! Our biggest team is MuDRocKs, which currently stands at 34 team members, and thanks to their Team Captain, Emma Hughes Davies, keeps growing in numbers and strength. Our team members have individual sponsorship targets of £ 500. We think this is achievable, but slightly out of a comfort zone. Team Fortitude is ran volunteers in our spare time, and 100% of the funds raised go to Rock2Recovery. We have recently launched our EtchRock virtual challenge which you can join us at here. We aim to have people logging their walking/jogging/running distances via EtchRock, and the challenge is to virtually travel from event to event. Team Fortitude are always looking for new members, so if you love a challenge and are going to any of these events, let them know and be part of something big! Rock2Recovery is an amazing charity and Team Fortitude are just as awesome, if you are interested in testing your limits, you now know where to find them! If you have been inspired by Team Fortitude or would like to join them on one of their challenges, make sure you get in touch!